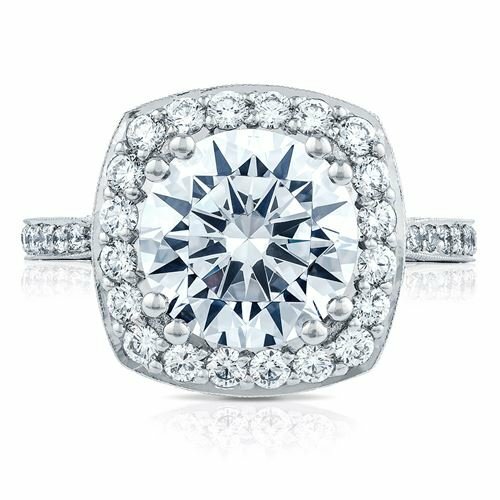 Let your cushion cut diamond take center stage. 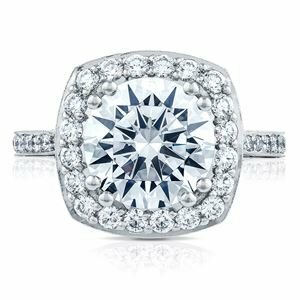 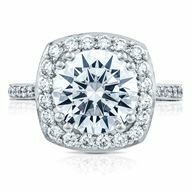 Graduating pavé set diamonds set _ of the way on a sleek and slim band make way for the grand finale, your cushion cut center diamond. 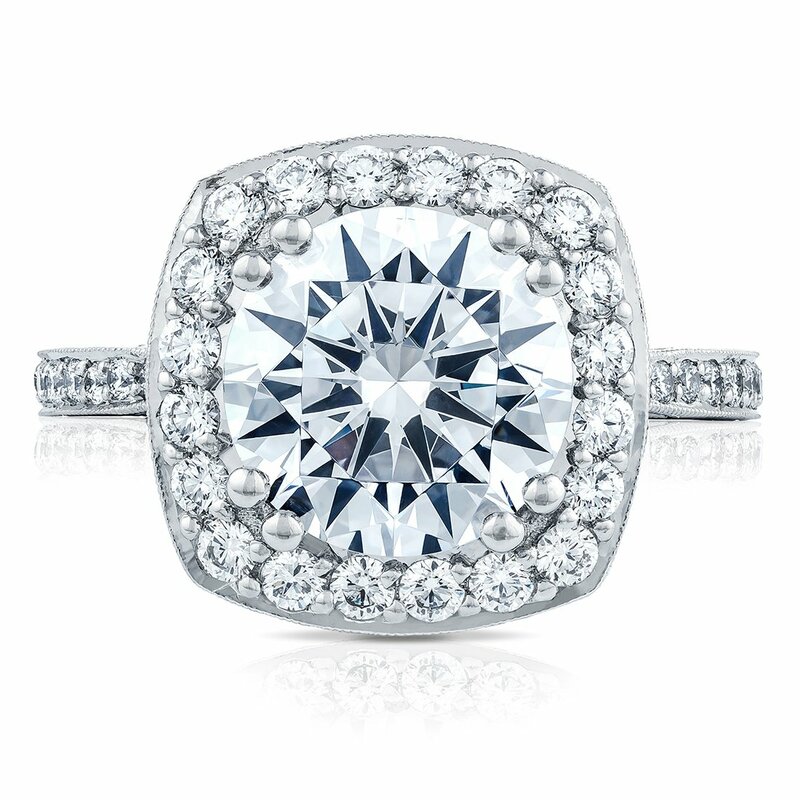 Intricate diamond crescent details make this ring an absolute stunner.